Et voici une petite relation du siège de Saint-Jean-de-Losne par le duc de Lorraine, en 1636, d'après les Mémoires de Henri Campion. 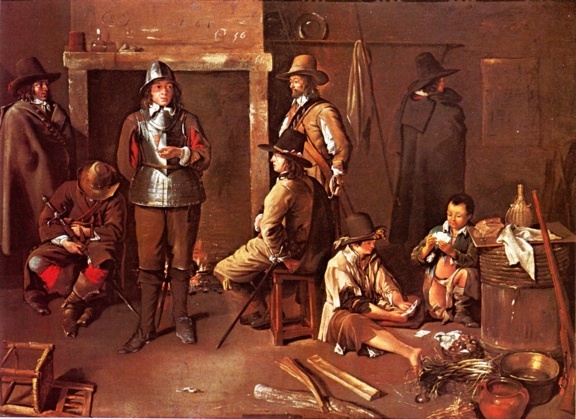 Some time later, the Duke of Lorraine besieged Saint-Jean-de-Lone (October 25, 1636), and Galas stationed between this city and Dijon, where they detached the Count of Ranzau, then maréchal de camp, to try to throw some soldiers into the place, although it did not believe it was possible. Rantzau who took a wide detour to cross the Saône at Auxonne, entered in Saint-Jean-de-Lone, November 2, by the side of the Franche-Comté, with the troops he led. This aid, with the resolution that the citizens seems to give at the beginning of the attack, and heavy rains that flooded the valley where the city is built, forced the Duke of Lorraine to tlift the siege (Nov. 3), after an assault that was repulsed. Its trenches and batteries were flooded to the point he had the greatest difficulty to withdraw his gun. The firmness of the inhabitants of Saint-Jean-de-Lone and bad weather saved Burgundy, where the enemies would laugh at winter quarters if they had taken possession of this place, our army being not strong enough to stop them, and the rest of the troops in France being too busy driving the Spaniards from Picardy, to come help us. " 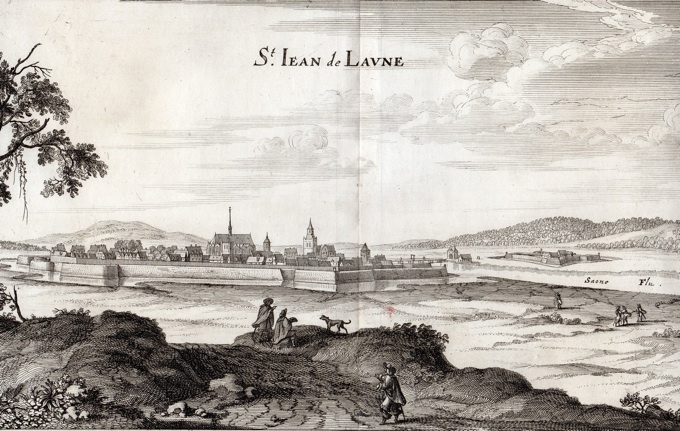 Ci-dessus : Saint-Jean-de-Losne au XVIIe siècle.